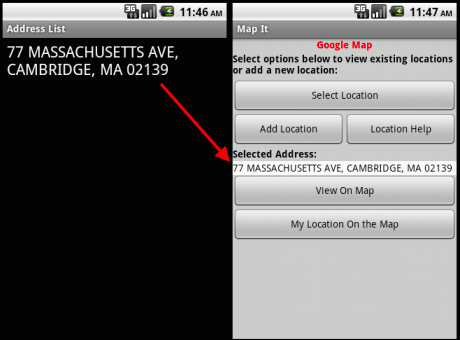 This tutorial shows how you can develop an app that allows you to record list of addresses and view the address on the Google Maps. 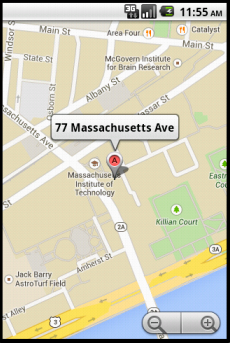 It will also show you how view your current location on the Google Map. 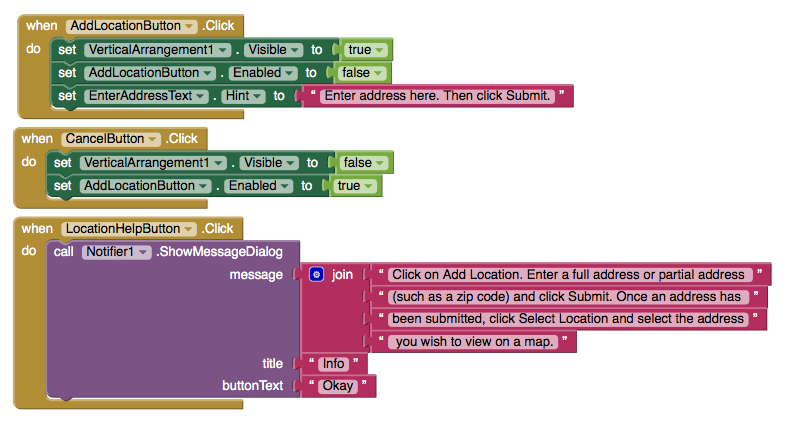 This tutorial assumes you have completed the basic tutorials of App Inventor. For basic and intermediate tutorials, click here. The figure below shows how the components are arranged in the design editor. 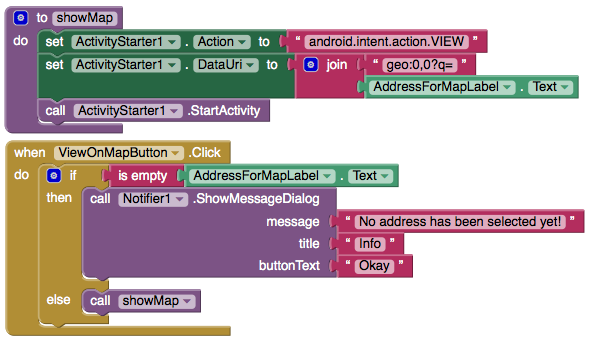 It also shows you the non-visible components (e.g. 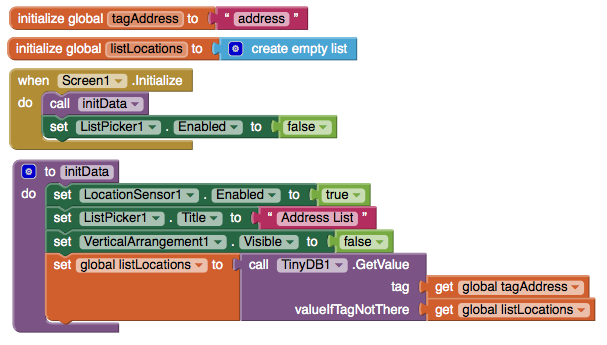 TinyDb, ActivityStarter, LocationSensor, Notifier) that are used in the app. We define 2 global variables. tagAddress – a variable that is a constant and will be used, as a tag, for storing and retrieving data from our database. listLocations – a variable that can be used to store and manipulate list of addresses. We now create a procedure that can be invoked when the app is started (initialized). The procedure sets up the initial state of some of the components. Some of these settings could have been done from the design editor, but for demo purpose and clarification, we are using a procedure. In the procedure, we also check our database to find out if there are any stored addresses. If no data, then we just use an empty list. 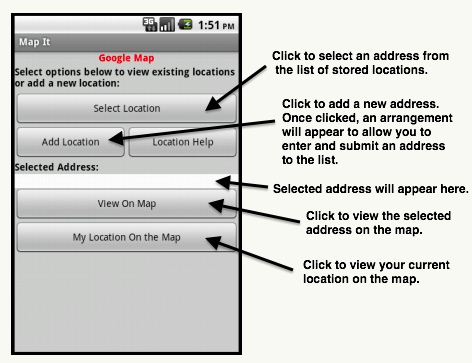 When AddLocationButton is clicked, we make our address data entry visible (using screen arrangement), allowing user to enter address. If user clicks on Cancel, we make the arrangement hidden again. Using this approach, we keep the screen simple and avoid the clutter. We also provide the SubmitButton to allow the user to indicate that they want to store data. 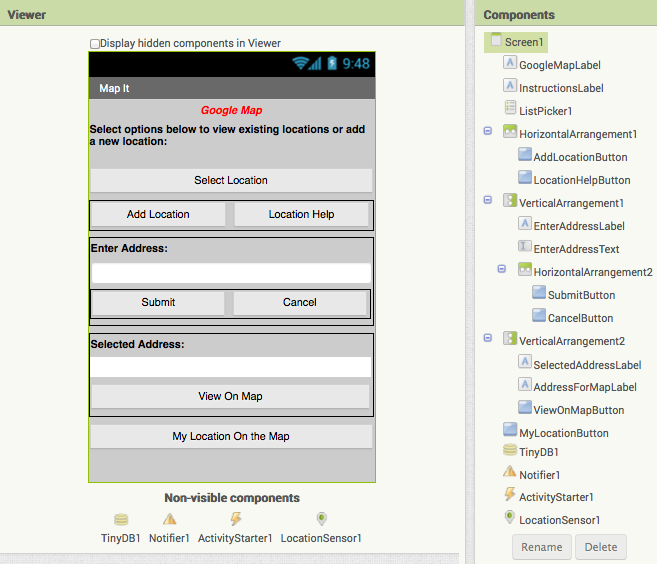 MIT App Inventor expresses its gratitude to M. Hossein Amerkashi for developing this tutorial. 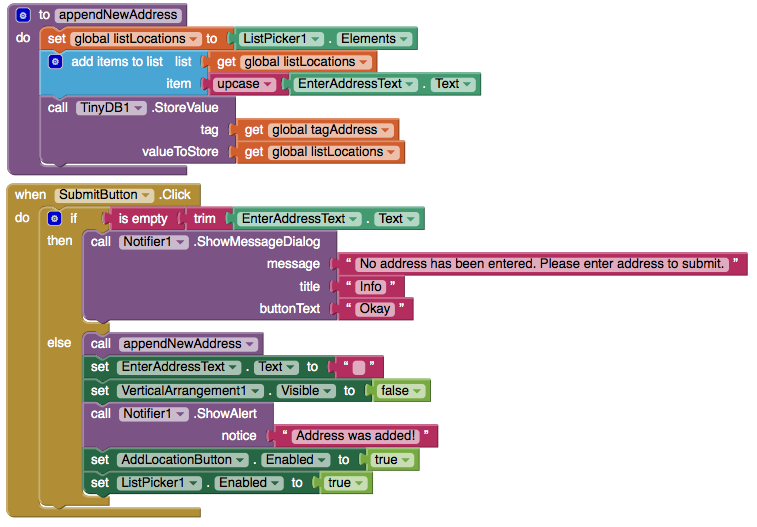 Visit Hossein's blog to find out more about him and his App Inventor support materials.